Annaimira Engineering College Pongal Festival Bhagyaraj Participation. Mother Mira College of Engineering and Technology in Vellore district on behalf of the Pongal festival was held by Rotary club. Rotary District Chairman P.Sathishkumar ceremony was chaired by the Pongal festival. Rotary District Governor A.K.Nassar guest attended the meeting. 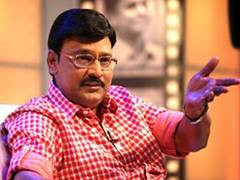 He spoke about the significance of Pongal. President of the College of Mother Myra Engineering and Technology Secretary S.Ramadoss, G. Thamotharan are spoke about pogal special.